U.S. Attorney General Eric Holder told an audience in Paris on Monday that the prosecution of individuals for violations of the Foreign Corrupt Practices Act “is accelerating” amidst continuing evidence of transnational bribery and corruption. 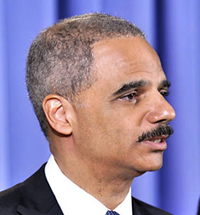 The U.S. has also prosecuted 37 different corporations for foreign bribery-related offenses since 2004, levying criminal penalties in excess of $1.5 billion, Mr. Holder added. Most of those cases have been resolved through so-called deferred prosecution agreements in which the companies avoided criminal charges by agreeing to pay fines and penalties and to make changes in their business practices.